The government said any passenger using abusive language against any airline staff or co-passengers will be barred from flying for three months. After the incident of Shiv Sena MP Ravindra Gaikwad's unruly behaviour with an Air India staff in March, the Civil Aviation Ministry today has proposed a national no-fly list of the passengers, who behave unruly during journey. Civil Aviation Secretary RN Choubey said, "We propose to bring out a national no fly list. 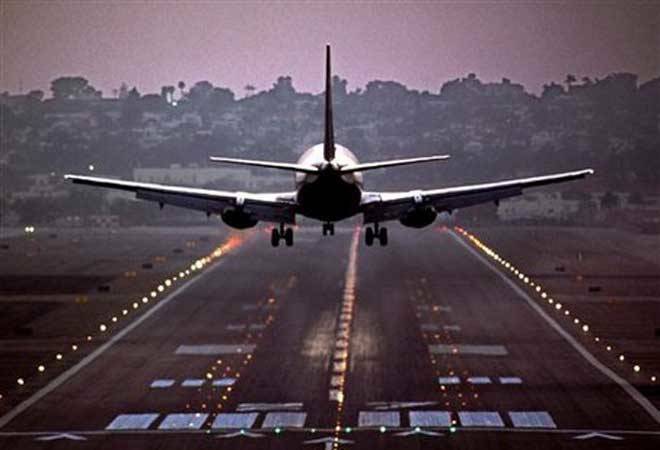 It is better to do that by a central mechanism under DGCA than leave it to airlines." To put a ban on the bad behavior on board, the government said any passenger using abusive language against any airline staff or co-passengers will be barred from flying for three months. Choubey further categorised unruly behaviour under three types which would be dealt with accordingly. Level 1- Disruptive behaviour such as physical gestures for which a passenger will be handed out a suspension of three months. However, Choubey said it would possible for the government to come up with the finalisation of the amendment by June 30. Minister of State for Civil Aviation Jayant Sinha had earlier said that the no-fly list would include both safety and security concerns. "Safety concerns emanate when there are passengers that exhibit unruly behaviour," Sinha said. In March, Shiv Sena MP, Ravindra Gaikwad, who was flying on an Air India flight from Pune to Delhi, hit the airline's duty manager Sukumar with his slipper 25 times when the latter urged him to deplane . In recent times, there have been reported incidents of unruly behaviour by fliers onboard various airlines. According to officials, between July 2016 and February 2017, 53 incidents of unruly behaviour by passengers have been reported by domestic airlines.